Poland's first openly gay politician has launched a new pro-EU party. Robert Biedron's progressive Wiosna, or "Spring", party aims to challenge the centre-right status quo that has dominated the Polish political scene for the past 14 years. Biedron's policies include increasing social spending, relaxing Poland's strict abortion regulations, and closing the gender pay gap. "We will guarantee equal pay for women and men in the same positions," Biedron wrote on Twitter on Monday evening. "And no young woman will have to choose between work or children." Speaking further on equal rights, Biedron added: "Equality between women and men is also full of rights for men." "That is why we propose a compulsory six-week paternity leave. That way they can build a bond with their children." Biedron also supports the separation of church and state in the majority Catholic country. Speaking at a rally in Warsaw, Biedron said: "We need positive energy more than ever now...we need to realize the legacy of Pawel Adamowicz," referring to the mayor of Gdansk who was killed in a violent attack last month, during a Christmas charity event. 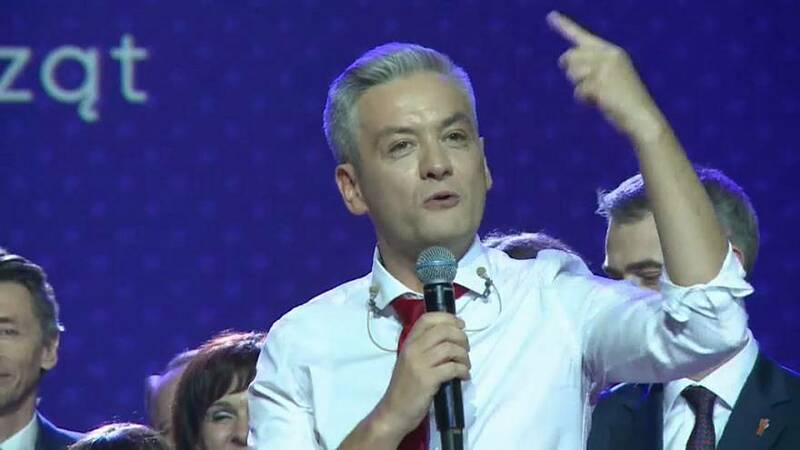 With the party now launched, Biedron is hopeful that it will gain a significant number of seats in May's European Parliament elections. Europe's reaction has been positive with the EU Parliament's Guy Verhofstadt tweeting his reaction. "Great to see centrist, pro-European movements on the rise in Poland," he wrote.